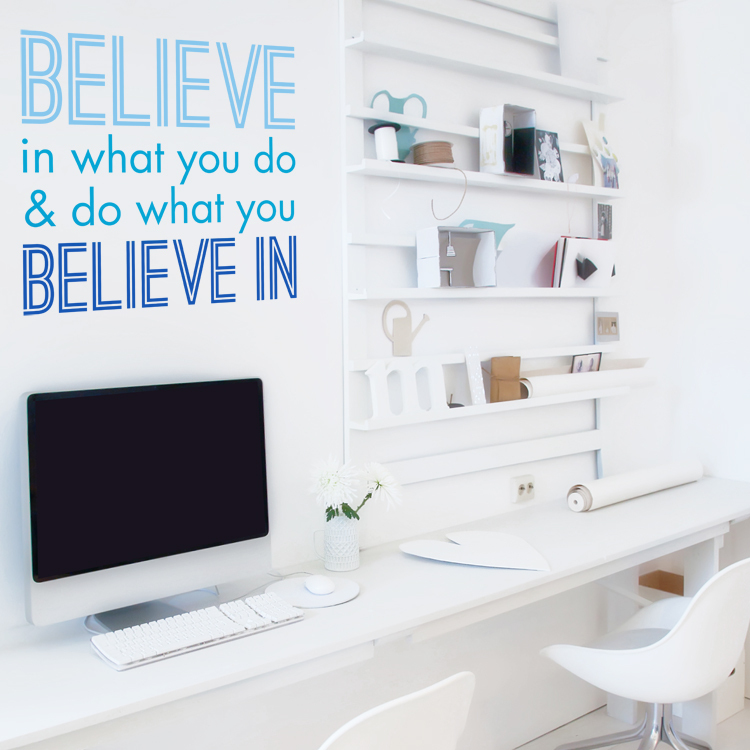 Believe in what you do and do what you believe in. Our wall decals are ideal for bedrooms, offices, living rooms, entryways, classrooms, even your car or glass shower doors! 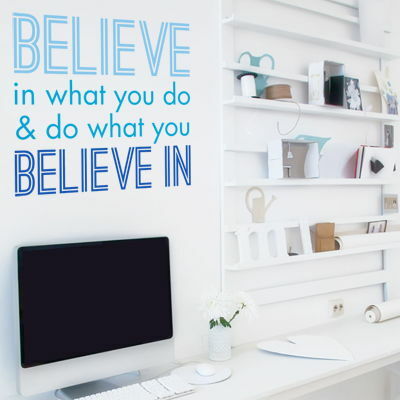 This wall decal comes in 3 sections for easier application and so you can create your own look! Each color will come on a different sheet. Great service from Dali Decals! I recieved my order and am very happy with it. I can't wait to put it up! Thank you for your prompt reply with all of my questions/concerns! I'm a new happy customer. I found out about Dali Decals by reading about a local promotion. Even though I missed out on the promotional offer, I was really impressed with all the customer pics and reviews. I was at a loss on what to get my boss who is expecting her first child and when I saw the Elegant & Swirly Framed Monogram I had to get it for her. When I gave it to my boss this week she just fell in love with it. It's going to go perfect in baby Abby's room!